For the past year, the pace of highly exceptional (HEL) component deliveries has been accelerating. Some of the components, such as the electrical transformers received between January and May from the United States, have already been installed on site; others have been placed in storage. Albeit spectacular, the late-night arrival of these convoys is now a firmly established part of life on the worksite. Unloaded, unwrapped, and carefully stored in the Cryostat Workshop, where welding and assembly activities will soon begin, the segments already give us an idea of the size of the ITER machine. One week later, a second convoy arrived with three identical elements, weighing 50 tonnes each, followed by trucks carrying a number of 19-tonne elements—in all, 460 tonnes of polished steel that will form Tier 1 of the cryostat base. 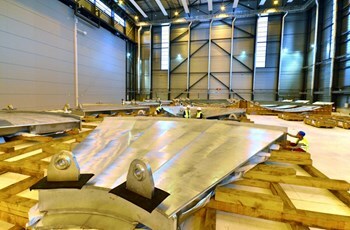 Unloaded, unwrapped, and carefully stored in the Cryostat Workshop where welding and assembly activities will soon begin, these segments representing less than one-eighth of the total mass of the cryostat (3,850 tonnes) already give us an idea of the size of the ITER device. 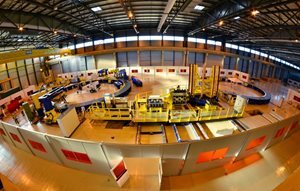 Six of the components that reached ITER in December weighed 50 tonnes each. Assembled with six auxiliary segments and welded, they will form Tier 1 of the cryostat base, the heaviest single ''piece'' of the ITER machine (1,250 tonnes). 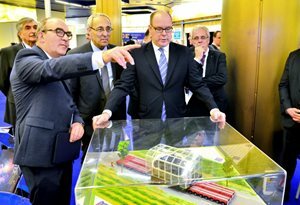 The arrival of these first machine components, which were procured by India and manufactured at Larsen & Toubro's Hazira plant, was achieved a few weeks in advance in relation to the ITER calendar. 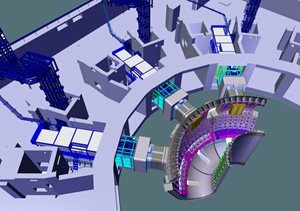 It was the first milestone achieved of the 29 validated in November 2015 by the ITER Council for the period 2016-2017. "We can celebrate a great accomplishment, one that is the fruit of remarkably integrated work and coordinated effort," said ITER Director-General Bernard Bigot during a brief ceremony organized in the imposing Cryostat Workshop. "Collaboration is the cornerstone of the ITER Project and the first condition of our success." 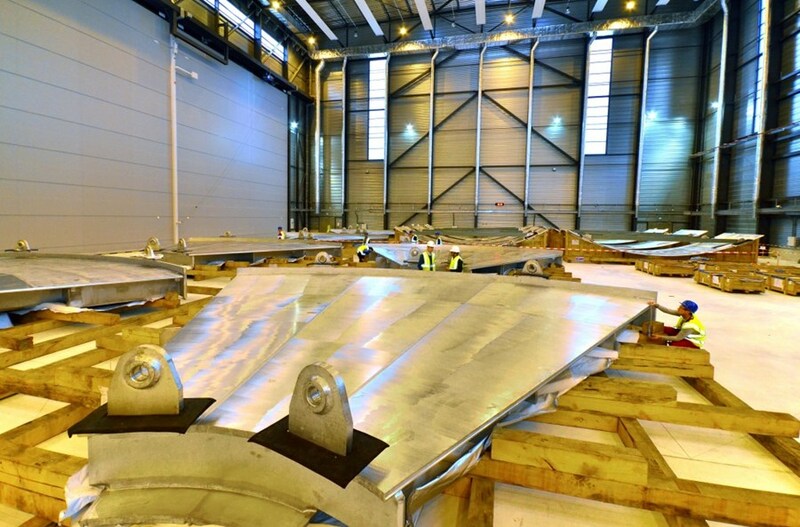 In a few months Tier 2 of the base will arrive, followed by the segments that will make up the lower cylinder of the 30-metre-wide ITER cryostat. 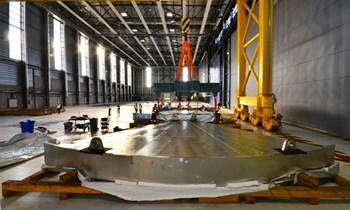 The 1,250-tonne base section will be the single heaviest load of ITER Tokamak assembly.